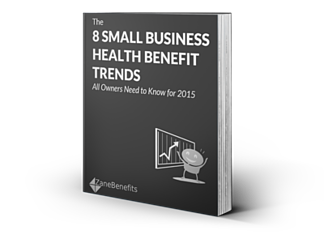 Zane Benefits, the leader in individual health insurance reimbursement for small businesses, announced today the publication of a new eBook, "8 Small Business Health Benefit Trends." The eBook helps small business owners and HR managers make the best health insurance decisions in the coming year. According to Zane Benefits, experts agree health insurance in America is rapidly changing. This is especially true for small businesses that are struggling to afford, or qualify for, traditional group health insurance. And yet, small businesses greatly value offering health insurance to recruit and retain the best employees. The new eBook provides a glimpse of eight key small business health benefit trends for 2015 that all small business owners need to know to make the best health benefit decisions in the coming year.